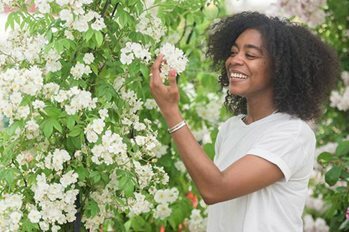 Home to the best plant nurseries in Britain and far-flung corners of the globe, you’ll find plants and flowers of all varieties – a paradise for every gardener. It’s also the place where we showcase the Product of the Year and Plant of the Year. We’ve taken the hard work out of shopping and hand-picked the best sellers for you to browse. All around the showground, you’ll find a host of exhibitors, both new and established, selling their innovative and desirable horticultural-themed products. Along with plenty of easy to read information about our campaigns, including Greening Grey Britain, the Hub is home to RHS retail, membership and RHS Garden Holidays. Profits go towards the charitable work of the RHS.